Little fairy with sparkly dress and bell feet on a pretty organza pouch (can be also used as a gift bag without the tag). 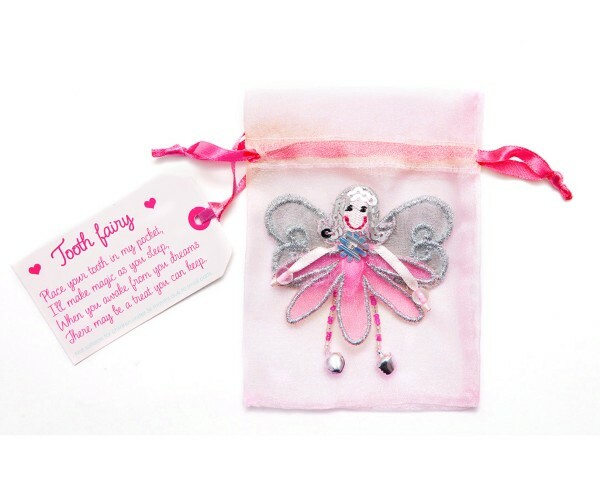 All children believe in the tooth fairy (mainly because they know she may leave them something!) so this little fairy will add that touch of magic and it also makes a nice keepsake!